Planned giving provides an avenue to leave a legacy of far greater impact than often is possible through gifts made during one’s lifetime, and the opportunity to influence the future in a concrete manner. Bequests: A popular and simple way to make a gift. A general bequest gives The Leakey Foundation a stated sum of money. If there is insufficient cash in your estate to cover the bequest, other assets will be sold for cash to honor your wishes for the Foundation. A specific bequest gives The Leakey Foundation a particular piece of property. If you disposed of the property before your death, the Foundation will not receive your intended gift because we cannot claim any other property. A contingent bequest requires a certain event to occur before the gift can happen. For example, you could bequeath funds to a family member provided that person survives you; if not, the funds would then go to The Leakey Foundation. 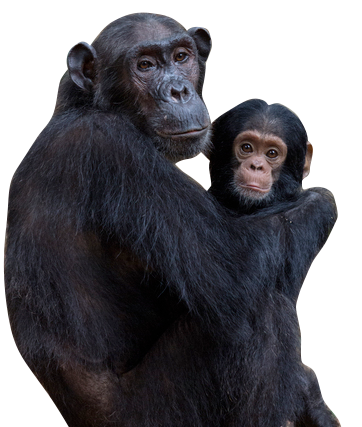 An unrestricted bequest allows The Leakey Foundation to use the assets in the most beneficial way. A restricted bequest allows you to specify how The Leakey Foundation is to use the funds. Contact us in advance to be certain your intent can be fulfilled. An endowed bequest allows you to restrict the principal of your gift so The Leakey Foundation may use only a small portion each year, typically allowing the fund to last forever. “I give, devise, and bequeath to The Leakey Foundation, a nonprofit corporation located in San Francisco, California, the sum of $___ , for use in (state the purpose for which you wish your bequest to be used, or indicate “general purposes”). “I give, devise, and bequeath to The Leakey Foundation, a nonprofit corporation located in San Francisco, CA, %___ of my residual estate, both real and personal, for use in (state the purpose for which you wish your bequest to be used, or indicate “general purposes”). *The Leakey Foundation recommends communicating with an estate-planning attorney when making any arrangements concerning your estate.